Earn 45 points to spend on future purchases. SIZING: Three cushion sizes -- Small, Medium, Large -- are available to fit a wide range of faces. Any cushion size will fit on any Amara View mask frame; so if you find you want to try a different size you can simply purchase a new cushion rather than having to buy a whole new mask. Cushion size is indicated by a single letter -- S, M or L -- printed on the base of the cushion. 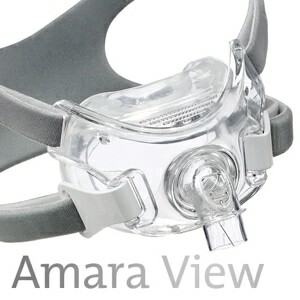 All Amara View Full Face Masks. Not Compatible With Amara Full Face Masks. The mask is OK on comfort but leaves marks on my face. Still looking for a full face mask that won't make me look like a basset-hound when I wake up. I do BiPap. None of the full face masks I have permit the wearing of eye glasses while I work in my home office. 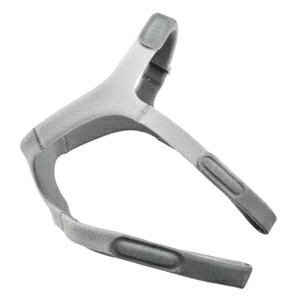 Also, the low profile mask allows me to awaken in the morning without my face looking like a road map from the straps. The mask is not quite as 'stable' as larger ones so if you move around a lot or open and close your mouth much as you sleep, be prepared to adjust the mask if you lose the seal. The seal DOES hold its position if you're reasonably calm during sleep, ****, etc. Mask is exactly the one i needed. The speed in which it arrived was awesome as my new puppy decided that my old mask was his personal chew toy. I have very sensitive skin and the bridge of my poor nose has suffered so often with other masks, no matter what I tried to do. The Amara View spares it from further distress. 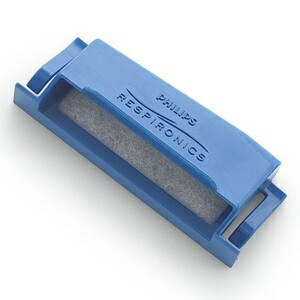 Recently got a resmed air fit f10. 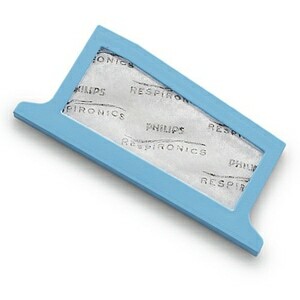 Worked well but would not fit my odd nose shape, so resp therapist showed me an Amara View. It worked fantastic, however i got a cushion that was too small. I tried ordering one on line, one size bigger. 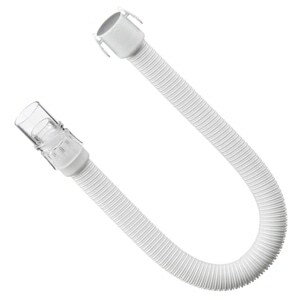 I stumbled across Directhomemedical.com and found them they have great prices here for good quality parts!